What a fabulous giveaway...would love to win! These fabrics are awesome. I swear I saw some on spoonflower.com... I've been looking for something for our nursery. I'm pretty sure we'll be going with a gray, orange and yellow color scheme. The Dusk colors are perfect.! I love the palette of the Dusk colorway. I'd be thrilled to win some of this fabric to use in making clothes, pillows and quilts! What a fabulous giveaway, thanks! Hi! 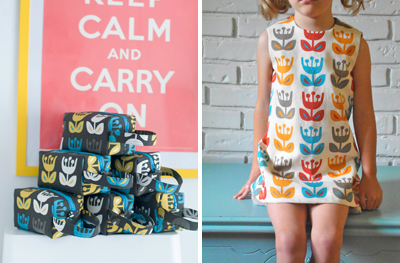 Love your blog & your fabrics! I have so many ideas with the tulip one! 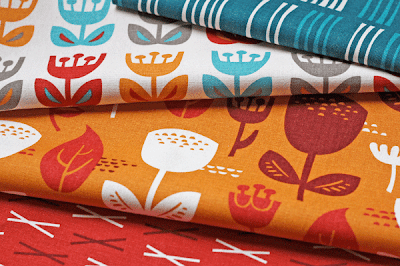 has anyone contacted alewives fabrics about your stuff? Rhea carries a very cool selection and Outside Oslo would fit well with her stuff! I just got my sewing machine out of storage, would love some of this fabric! I love these blues and oranges so, so much! Great giveaway! Such nice patterns. 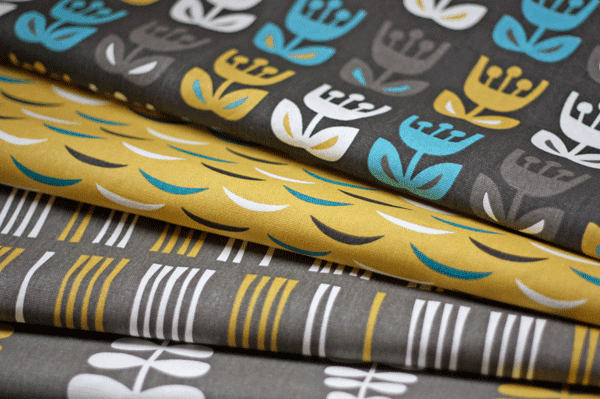 I´d love to win this lovely fabrics! Great designs! I can think of lots of ways to use the fabrics. Thanks for the chance to be a winner. ah, so fun! i'm making bedding for a friend - and new mama! - this fall, and these colors are just her style. awesome, thanks! I love the patterns, particularly the blues and grays. My stash could definitely use an infusion of the Dawn colorway. Just saw your 'wallpaper with fabric' entry, and now I want to try it with your cute fabric! Love the dawn colorways! Finding cute fabric in Hawaii is hard. Winning some would be GREAT! Oh I just made it. I already have some of this line and would love a few more prints. I love The Needle Shop too. Thanks for the fantastic giveaway. AHHH I love the Dawn Colorway group! You did such a great job! Love these - the grey+yellow would match my nursery perfectly! Yes please! 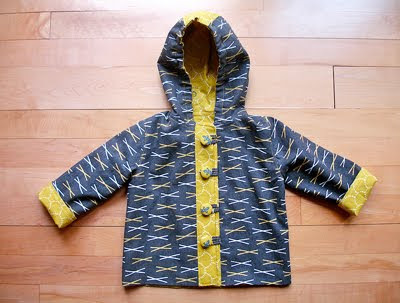 I have been looking for fabricators for a great fall jacket. I'd love to try your fabrics! Does anyone in the DC area sell them? l_talha@yahoo.com . It would be fantastic to try out some more structured skirt patterns in the dusk! I love this fabric and would love to win!! I love the colors and patterns of this fabric! I could use some freshening up in my fabric stash for many projects! What to make! what to make! Ha, I hope I made this awesome giveaway! Thanks! I'm so sorry I've read the post only today! I'm from Italy, I love Outside Oslo fabrics, and I created 2 elephant pillows with them! I posted the photos on my blog sweethomeviazara.blogspot.com! That Dawn colourway is so divine! Oh my! I'm not even sure what I would this fabric for it's all so beautiful. I might just stare at it for a while. And I would also LOVE to see these patterns at Mary Jo's (www.maryjos.com) outside of Charlotte, NC!!! so great for christmas gifted knitting bags! perfect fabric for christmas gifted knitting bags! I need to make curtains! Halp! I love your fabric! It'd be so fun to do some home decor projects with your designs. LOVE this contest - I just bought a yard and a half earlier this summer for a little project to brighten up my kitchen - so excited with the possibilities of more! Thank you SOOOO much ! I've never been lucky before i giveaways, I just can't believe it !! Thank you for these amazing patterns ! LOL I need some more oslo to re-Upholsrer my dining chairs! Hope I win!